Yes, we finally got our new look website online yesterday evening and we've been online tinkering with it ever since (is that really the time?). Who knew that Firefox was so much better than Internet Explorer? Well, we suspected it but we had no idea that what looks great in FF would look so poo in IE. 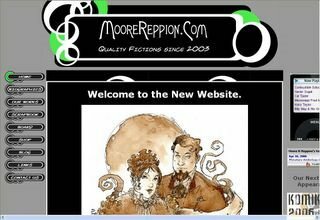 Click on the screen shot to visit the new site.